* These massive mammals reach an average height of 3.5 to 5 feet at the shoulder when standing on all fours, and when an adult male stands on its back legs, it can stand over 10 feet tall! 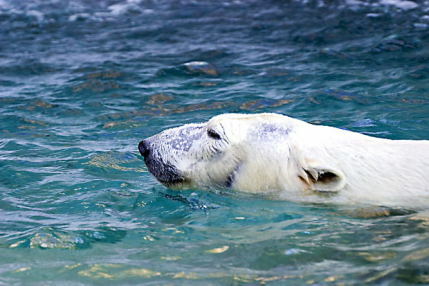 * A thick layer of fatty blubber helps polar bears to stay warm and to stay buoyant while swimming. * The usual lifespan of a polar bear is between 15 and 25 years. 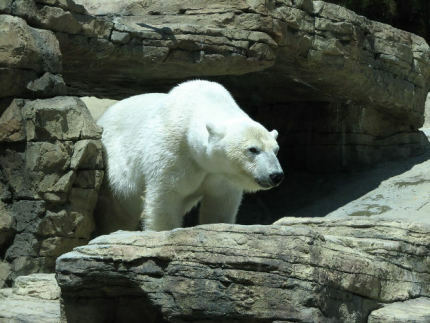 * Polar bears live in the icy regions of Alaska, Norway, Canada, Greenland and Russia. * These bears do not hibernate. *The polar bear’s official conservation status is listed as “Vulnerable,” a title shared with great white sharks and lions. * Although everyone knows that polar bears have white fur, many don’t realize that their skin is black! * This massive carnivore’s diet is mostly composed of seal meat. 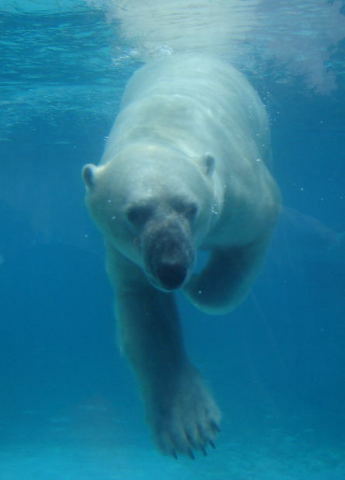 * A polar bear’s sense of smell is so refined, that they can locate seals hiding in ice up to three feet thick. Happy International Polar Bear Day, everyone!